Get a quote from Admiral for your home insurance. Are there any exclusions with Admiral home insurance? How much does home insurance from Admiral cost? Are any discounts available for Admiral home insurance? Admiral is a UK-based insurance company that was founded in 1993. 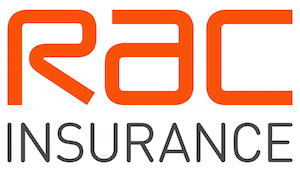 The company provides car insurance, home insurance, pet insurance, travel insurance and more, along with other financial products such as loans. See if Admiral makes it into our list of the top 10 home insurance companies, or get a quote from Admiral. Admiral's most comprehensive and most expensive cover level provides unlimited buildings cover, up to £150,000 contents cover, home emergency cover included, family legal protection, accidental damage cover on both buildings and contents, up to £2,000 personal possessions cover, bicycle cover of £350, and up to £10,000 trace and access cover to detect and repair the source of a water leak. Admiral's middle policy provides unlimited buildings cover, up to £75,000 contents cover, boiler emergency cover, bicycle cover of £350 and up to £5,000 trace and access cover. Admiral's Standard cover is its cheapest, but also its least comprehensive cover level. It provides unlimited buildings cover, up to £50,000 contents cover, and £350 bicycle cover. Home emergency cover for plumbing, gas, electricity, central heating or hot water failure, pest infestation, damaged windows, doors and locks or roof damage as a result of a storm. There is no excess on this cover and it can even provide up to £250 for overnight accommodation if it's unsafe for you to stay in your home. Learn more about this cover in our article on how to get one of the best home emergency policies. Family legal protection of up to £100,000, as well as expert legal help. This can cover you for a range of disputes. Accidental damage that can cover you for things like accidentally knocking your television off its stand or spilling something over your laptop. It can also cover you for things like your key snapping in your lock or if a football accidentally breaks your window. Personal possessions cover of up to £10,000, limited to £1,000 per item. This extra can be used to cover things like jewellery or mobile phones and can raise the bicycle cover level if your bike is worth more than £350. This cover can pay for loss or damage of your item anywhere in the world. High value item cover can cover items worth more than £1,000. It can be added to the Standard policy for cover up to £10,000 (£5,000 per item limit), Gold for up to £15,000 worth of cover (£7,500 per item limit), or Platinum for up to £30,000 (£15,000 per item limit). If these cover levels sound good to you, get a quote from Admiral. As with any home insurance policy, there will be some exclusions to your policy. For instance, unless you have told Admiral that you use your home for business use, you will not be covered for any legal liability or claim linked to a business, trade or profession. Its home insurance policy also won't pay out for items if they have gradually deteriorated or are damaged due to normal wear and tear. It's important to read your policy documents thoroughly so you know exactly what is excluded from your policy, and if you're not sure about something, contact the company and ask. It can be hard to predict the cost of home insurance. This is because a number of factors can change the price of your premium, including the type of building, what the building is made of, how old the building is, where it is located, and what security systems are in place. Moreover, if you choose to insure your contents as well, the value of your contents will affect the price of your premium. Find out more about the factors that influence the cost of home insurance in our article on the cost of house insurance. Admiral offers a multicover discount, meaning you can bundle your car insurance and your home insurance into one and receive money off. You don't have to cancel any existing policies; other cars or homes can join at a later date, after their renewal, and still get a discount. You can even get the multicover discount if some of your family members live at different addresses. Admiral as a whole has been rated 3.13 out of 5 based on over 750 reviews on Reviews.co.uk. Over 21,000 customers have reviewed Admiral on Revoo, 98% say they would buy again from Admiral. And over on Trustpilot, the company as a whole has a rating of 3 out of 5 based on over 2,500 reviews. Admiral's Gold and Platinum home insurance cover have both been awarded a 5 Star rating from an independent financial reviewer. Its Standard home insurance cover has been awarded a 4 Star rating. Fairer Finance has awarded Admiral's Platinum home insurance product with 4 stars. Its Gold home insurance product has been awarded 2 stars, and its Standard product just 1 star. If you need to make a claim from Admiral on your home insurance, you can do so either by calling its claims number on 0333 220 2034, or doing so online. Its claims number for existing claims is open 8am to 9pm Monday to Friday, 9am to 5pm Saturday and 10am to 4pm Sunday. Lines are open 24 hours a day for any new claims. 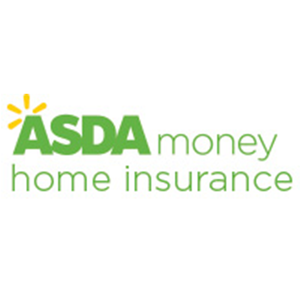 See if Admiral makes it into our list of the top 10 home insurance companies.